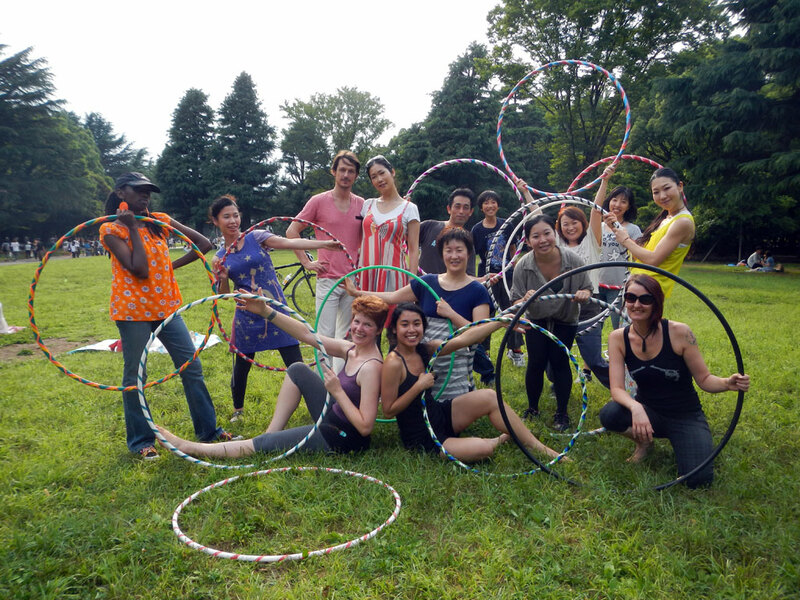 Colleen’s workshop was a playful look at hooping on- and off-body, incorporating body parts you might never have considered for hoopdance. We foot-spun hoops across our legs, tossed over our backs, stretched back to get out of the way of the hoop, made daring mid-air catches on the diagonal. And then Colleen directed us to focus on our “second hand” – the one not moving the hoop. What was it doing? Probably nothing much. Would could it do? Lots of beautiful movements including tracing the path of the hoop’s movement and winding around the torso. I moved in new ways yesterday and I am excited to keep working with these ideas. Thank, Colleen, for an excellent workshop! ← Special Workshop: Exploring Space! Glad I could give you guys something new to think about!